But it seems my favorite radio station, WLIR wasn’t content playing only those three songs from the album. 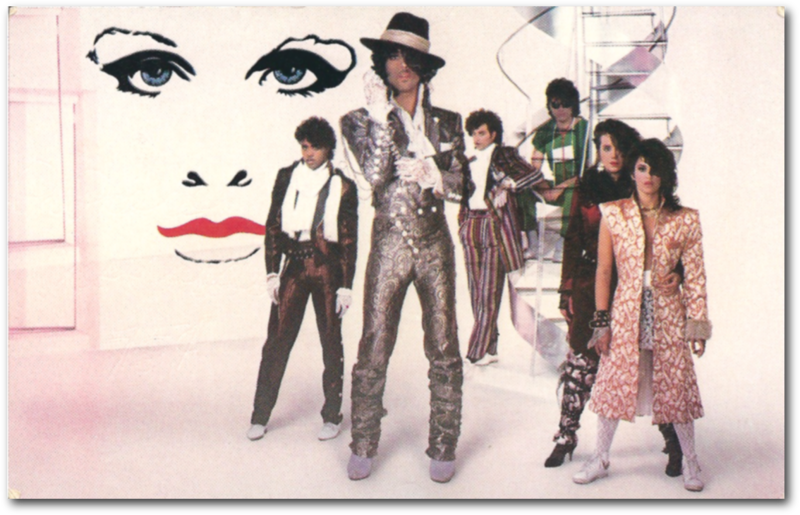 Each of those singles were nominated for, and won, the station’s Screamer of the Week competition (each week listeners voted for the best new song of the week) in the winter of 1984. In the first week of March, “The Gap” became the fourth song from the album to win Screamer of the Week. 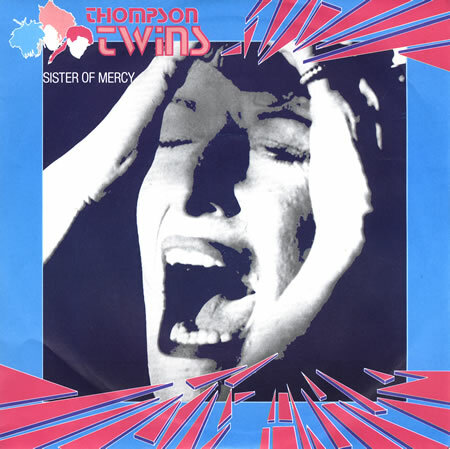 And finally, “Sister of Mercy” won the competition in the second week of June. I’ll need verification from a Screamer of the Week scholar – but I’m pretty sure 5 Screamers from one album has to be some type of record. i don’t think R.E.M. or Depeche Mode or OMD or U2 ever came close to that achievement. So what caused Thompson Twins to dominate the modern rock and pop airwaves in 1984 ? I think my answer may come in one word – their songs were incredibly, “CATCHY”. I fear some may think that calling a song a catchy is a back handed compliment – but I use the phrase as major praise. “Yellow Submarine” is catchy. “Beat It” is catchy. “Ode to Joy” is catchy. So when I say that Into the Gap is filled with some of the catchiest tunes of the year, maybe I’m coming close to calling it a perfect album. Maybe. I always interpreted “Sister of Mercy” as the band’s attempt at gravitas. It falls within what is a surprisingly large category of pop songs written about domestic violence. 10,000 Maniacs’ “What’s the Matter Here,” Janet Jackson’s “This Time”, The Pretenders and Annie Lennox’s respective covers of “Thin Line Between Love & Hate” are some of my favorites in that genre. Thompson Twins were such a positive band – I always thought they might record a sequel to the song in which the female character is released from prison and goes on to counsel other women who have suffered a similar fate. Or maybe she sees the Thompson Twins video for “You Take Me Up” and, inspired, engineers a prison break. 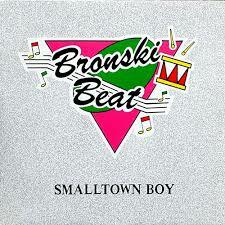 This entry was posted in Screamer of the Week and tagged 1980s, 1984, Culture, Music, nostalgia, Pop Music, Screamer of the Week, Sister of Mercy, Thompson Twins, Tom Bailey on June 7, 2014 by Sean. 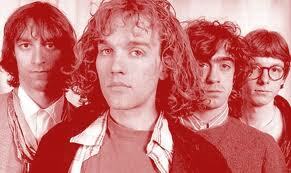 Screamer of the Week: Pretty Persuasion by R.E.M. This Week in 1984. What type of blessed musical alchemy was being conjured in late May of 1984? 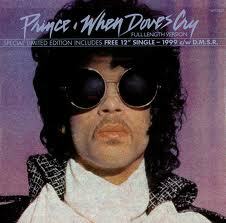 During the third week of the month I heard Prince’s When Doves Cry for the first time and almost imploded with joy. And then, the very next week, I heard the song that would begin a 30 year relationship with what would become my favorite band of all time. 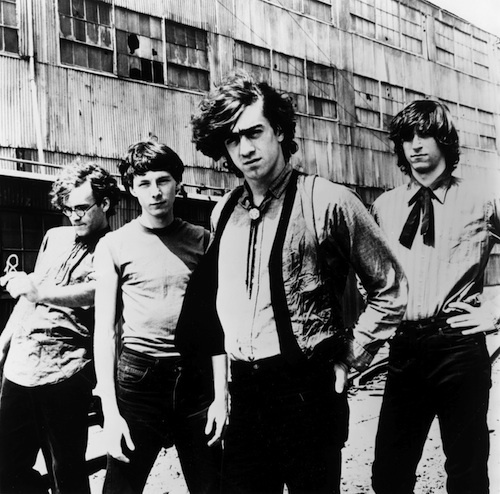 Although R.E.M. released their debut album, Murmur, a year earlier – they were not at all on my radar. I think I had heard of the band and thought their name was clever, I knew they were from the South and I had possibly heard “Radio Free Europe,” but didn’t think much of it (I know – BLASPHEMY! It actually hurt me to write that last sentence. But have no fear – I have since come to my senses). I was happy listening to a steady diet of 30% Rap, 20% R&B, 35% British New Wave, and 15% American pop. I believed R.E.M. was a country band and I didn’t need any country music on my radio or in my cassette player. 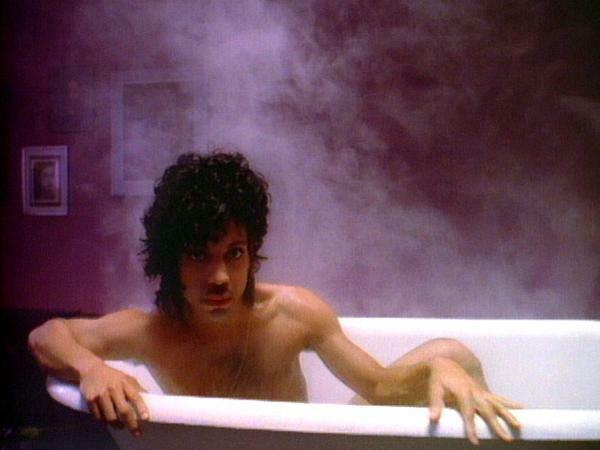 I’m pretty sure that was my first thought when I heard the first few bars of “Pretty Persuasion”. The radio station WLIR was holding its weekly Screamer of the Week competition and one of the DJ’s entered “Pretty Persuasion,” from R.E.M.’s just released second album, Reckoning. First the jangly guitar, followed by a harmonica, and then that twangy, sad vocal harmony. Yep – this is country music. Country music, but . . . .
Country music, but . . . one of the prettiest harmonies I’ve heard all year. Country music, but . . . also rock n roll – and also pop. Country music, but . . . something else I can’t put my finger on – but I know it’s making a connection. Michael Stipe has recently shared the fact that Pretty Persuasion is about growing up queer. I’d love to be able to re-write history and talk about how I connected to the very subtle gay/queer narrative Stipe was telegraphing. But that wasn’t the case. Stipe wasn’t ready to directly speak or write or sing about being gay and I didn’t feel the particular need to seek out and enjoy gay overtones in my music (Bronski Beat and Frankie Goes to Hollywood would change that in a couple of months). But I did connect to the song’s evocation of vulnerability. And although I didn’t understand all of the lyrics I knew it felt cathartic and empowering to sing along to lines like “Goddamn your confusion,” and “It’s all wrong/it’s all wrong!”. Those lyrics seemed perfectly designed for this 16-year-old to sing along to while sitting alone in his bedroom. And the perfection of that song inspired this 16-year-old to put down his reservations about liking country music and pick up his phone to cast his vote for “Pretty Persuasion” to be Screamer of the Week. When I turned 40 I created a mix of my top 40 songs of all time. The list started changing almost as soon as I burned the CD (life before Spotify) but R.E.M.’s “Pretty Persuasion” has remained a constant. It’s a great song. A perfect song. And it’s a marker. It reminds me of a time when I cautiously (very cautiously) began to open up, receptive to the notion that I could be a slightly different person today, than I had been the day before. 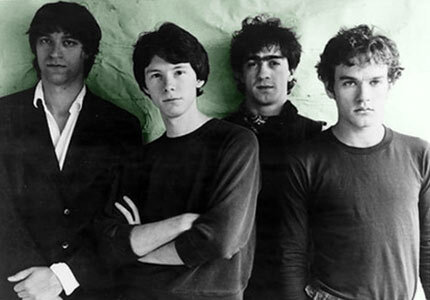 This entry was posted in Screamer of the Week, Tribute and tagged 1980s, 1984, Bill Berry, Michael Stipe, Mike Mills, Music, nostalgia, Peter Buck, Pop Music, Pretty Persuasion, R.E.M., Reckoning, Rock, Screamer of the Week, WLIR on May 27, 2014 by Sean. In 1984 I had two favorite radio stations that each had a very different, but equally profound affect on my musical taste. 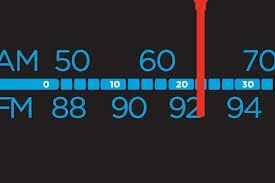 There was 107.5 WBLS, which featured my favorite DJ – the ‘Chief Rocker’ Frankie Crocker. Every weekday from 4p-8p he’d spin R&B hits but also play everything from the Tom Tom Club to James Moody. On the opposite end of the dial, and the musical spectrum, was WLIR. 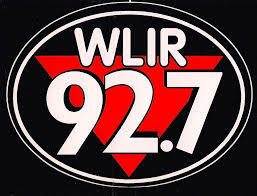 92.7 WLIR played New Wave (also known as Alternative, New Music and Modern Rock – why so many names?). I don’t remember why I started listening or how I found out about it but I know for a fact I didn’t stumbled across the station. WLIR was located near Hempstead, Long Island – just about 25 miles from my home in Brooklyn. But the station’s signal wasn’t very strong so I’d have to perform all sorts of high-tech feats to get a clear signal (my most effective method was to interlace the antenna of my boom box through the Venetian blind slats in my bedroom window). 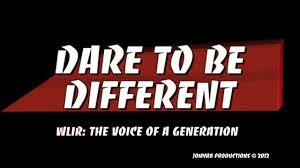 The station’s tag line was “Dare to Be Different’ – which worked for me (and probably every other teen listening). One of the ways I decided to explore my feelings of otherness and oddness was through music. A young Black kid listening to R&B and Hip Hop was expected. But what if that kid started listening to Euyrthmics or The Smiths? Then that kid was different. He was a bit of freak. I wasn’t ready to ‘freak out’ in other ways – so I bought Culture Club records and hung U2 posters on my bedroom wall (I hedged my bets by hanging a Tina Turner Private Dancer poster right next to U2). Plus – the music was great. When the radio waves cooperated WLIR introduced me to great artists like Duran Duran, R.E.M., INXS, Thompson Twins, and Psychedelic Furs. And best of all – every week the station would allow viewers to vote and choose the best new song of the week. The station’s DJ’s (Donna Donna, Malibu Sue, Larry the Duck) would each rally behind one song and attempt to convince listeners to pick their ‘Screamer of the Week’. The DJ’s were passionate and knowledgable and they helped shape the musical taste of countless teens in Brooklyn, Queens, and Long Island. So much of this blog is a testament to that station’s influence. The right music at the right time. This entry was posted in Screamer of the Week, Under the Influence and tagged 1980s, 1984, Music, New Wave, nostalgia, Pop Music, radio, Screamer of the Week, WDRE, WLIR on May 19, 2014 by Sean. During the third week of April, 1984, Thompson Twins won the Screamer of the Week with “You Take Me Up,” the third single from Into the Gap. This song is the band at its most earnest – and its best. They seem to be taking a stab at something close to Blue Grass – and it works. The harmonica, the call and response, the lack of synthesizers (are those real cowbell I hear?). And most importantly, the song answers the musical question: ‘what’s the solution to being caught up in an oppressive post-industrial economic system that depends on forced labor?’ The answer? Love, of course! The video takes that idea even further. ‘What do you do when you are wrongly convicted of a crime and placed on a chain gang?’ Why, you sing about love and magically free yourself (even more effective than DNA testing)! It’s better that way when you work through the night. That’s a pretty good lyric, isn’t it. I’ll admit that when I worked in news and found myself on the night shift I’d sing that line to myself every once in awhile. I may have secretly hoped Tom, Joe, and Allanah would bust me out of my corporate media chain gang and allow me to bounce off into the sunset with them. I’ll also admit I may still be waiting. This entry was posted in Screamer of the Week and tagged 1980s, 1984, Into the Gap, Music, Music Video, Pop Music, Screamer of the Week, Thompson Twins, You Take Me Up, zerotohero on April 23, 2014 by Sean. Screamer of the Week: Heaven by The Psychedelic Furs. This week in 1984. Every week the Long Island radio station WLIR would allow viewers to vote and choose the best new song of the week. The station’s DJ’s (Donna Donna, Malibu Sue, Larry the Duck) would each rally behind one song and attempt to convince listeners to pick their ‘Screamer of the Week’. The DJ’s were passionate and knowledgable and they helped shape the musical taste of countless teens in Brooklyn, Queens, and Long Island. 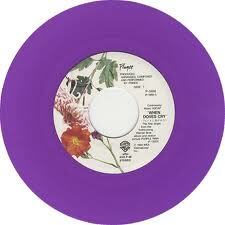 This week In 1984 The Psychedelic Furs’ Heaven was the Screamer of the Week. The single came from the band’s fourth studio album Mirror Moves which also contained Here Come Cowboys and my favorite – The Ghost in You. This is a case where the song is much better than the video. Heaven, the song, is haunting, sad and poetic. The video – well – there’s lots of spinning. And lots of rain. Ah, but what a gorgeous song. Annie Lennox covered it 1995 (of course her version is equally haunting). While conducting research for this post I discovered the band is on tour right now on the east coast. If anyone sees them please send a review in the comments. Also – SCREAM when they play Heaven to remind them of what they accomplished 30 years ago. This entry was posted in Screamer of the Week and tagged 1984, Heaven, Mirror Moves, Music, Pop Music, Screamer of the Week, The Psychedelic Furs on April 9, 2014 by Sean.